I find it quite difficult to take close-up shots of small insects with my 18-105mm kit lens. Mainly because it’s not a macro lens and because the minimum focus distance of 0.45 meters, but I definitely learned how to get around it and how to take decent close-up photos with the Nikon 18-105mm kit lens without additional equipment. So, I’ve been in the garden again today, and usually when I am there, I take my camera with me. 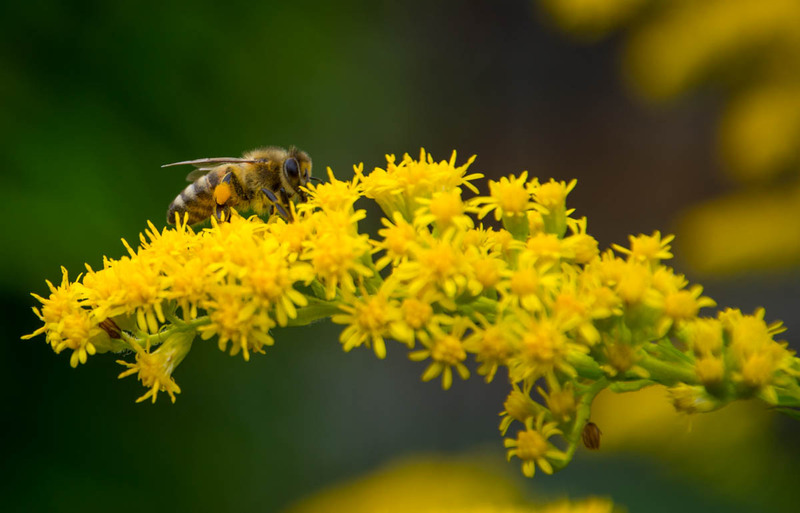 I spotted some bees on a yellow flower, and the image in this post is one of the photos that I could take. Thank you very much! I am glad you like my blog.